The MPLAB XC Network Server License is a shared license. It allows one person to compile at a time. Once used, the license remains captured by that person for 60 minutes, during which no one else can use it. If that person compiles again, the 60 minutes starts over. The license is not compatible with virtual machines unless combined with an MPLAB Virtual Machine License for Network Licenses, SW006021-VM. The MPLAB XC PRO Network Server Licenses also come with 12 months of High Priority Access (HPA) - a maintenance subscription providing web access to new compiler versions, priority technical support for the compiler and free shipping on all development tool orders on Microchip Direct. For more information and documentation, see the MPLAB XC C Compilers page. Allows the administrator to add and remove users as needed by tying the licensed users by their host IDs. This add-on license allows network licenses to be compatible with a virtual machine. One license will be needed for each virtual machine network. 1. Install your network server and compiler licenses (if not already installed). Note: The MPLAB XC Virtual Machine License for Network Licenses is not a PRO or Standard compiler license. 3. Click on “Download License” for the virtual machine product and follow the instructions on the page. Unzip the file that is downloaded. 4. Run the installer on the server for your operating system. Please refer to the documents section of this webpage for more information. The MPLAB® XC16 C Compiler is a full-featured, highly-optimized ANSI C compiler for all 16-bit PIC Microcontroller families. This compiler integrates into Microchip’s MPLAB X IDE, is compatible with all Microchip debuggers and emulators, and runs on Windows®, Linux® and macOS®. For more information and documentation, go to: www.microchip.com/mplabxc. MPLAB® XC Compilers produce highly optimized code. Subscription licenses unlock PRO-level optimizations, which produce the best execution speed and code size for all PIC® microcontrollers (MCUs) and dsPIC® Digital Signal Controllers (DSCs) along with the best in compiler features. The MPLAB XC16 PRO Subscription License is charged on a monthly basis, providing 16-bit designers the ability to make use of the most features and best code optimization only when needed in the design cycle. Subscribers will also have the ability to use any version MPLAB XC16 Microchip compiler at any time, without the need for an active Microchip MPLAB XC High Priority Access (HPA) maintenance subscription. Unlike most software subscription solutions, the license is not cloud-based, providing designers the additional flexibility of using the license offline. The subscription license is available as a download only, installed on a workstation and the license will be renewed every month by through internet connection. MPLAB® XC Compilers produce highly optimized code. Subscription licenses unlock PRO-level optimizations, which produce the best execution speed and code size for all SAM® and PIC® microcontrollers (MCUs) and dsPIC® Digital Signal Controllers (DSCs) along with the best in compiler features. The MPLAB XC32 PRO Subscription License is charged on a monthly basis, providing 8-bit designers the ability to make use of the most features and best code optimization only when needed in the design cycle. Subscribers will also have the ability to use any version MPLAB XC32/XC32++ Microchip compiler at any time, without the need for an active Microchip MPLAB XC High Priority Access (HPA) maintenance subscription. Unlike most software subscription solutions, the license is not cloud-based, providing designers the additional flexibility of using the license offline. MPLAB® XC Compilers produce highly optimized code. Subscription licenses unlock PRO-level optimizations, which produce the best execution speed and code size for all AVR® and PIC® microcontrollers (MCUs) and dsPIC® Digital Signal Controllers (DSCs) along with the best in compiler features. The MPLAB XC8 PRO Subscription License is charged on a monthly basis, providing 8-bit designers the ability to make use of the most features and best code optimization only when needed in the design cycle. Subscribers will also have the ability to use any version MPLAB XC8 Microchip compiler at any time, without the need for an active Microchip MPLAB XC High Priority Access (HPA) maintenance subscription. Unlike most software subscription solutions, the license is not cloud-based, providing designers the additional flexibility of using the license offline. The MPLAB XC8 C Compiler is a full-featured, highly-optimized ANSI C compiler for all 8-bit AVR® and PIC® Microcontroller families. This compiler integrates into Microchips MPLAB(R) X IDE, is compatible with all Microchip debuggers and emulators, and runs on Windows, Linux and Mac OS X.The MPLAB XC8 PRO Workstation license unlocks the full potential and performance of all possible optimizations. The MPLAB XC8 compiler license also comes with 12 months of High Priority Access, a maintenance subscription, providing web access to new version releases, priority technical support for the compiler and free shipping for development tool orders on Microchip Direct. This is not an actual compiler! If you do not have an XC Pro compiler already, do not purchase this HPA product. High Priority Access for MPLAB ® XC PRO workstation compilers (HPA) is a 12 month maintenance subscription providing: priority technical support, new architecture support, new compiler versions for MPLAB XC8, XC16, XC32 and XC32++ PRO workstation licenses and free shipping on Microchip Direct for all development tool orders. One HPA must be ordered for each license and each license type. MPLAB XC PRO workstation compilers come with 12 months of High Priority Access (HPA), and support and maintenance subscriptions. HPA access can be renewed in twelve month increments at any time. New part support for all Microchip MCU families are always available upon download of the latest revision of new compiler downloads. This is not an actual compiler! If you do not have an XC Pro Network compiler already, do not purchase this HPA product. High Priority Access for MPLAB ® XC PRO network compilers (HPA) is a 12 month maintenance subscription providing: priority technical support, new architecture support, new compiler versions for MPLAB XC8, XC16, XC32 and XC32++ PRO workstation licenses and free shipping on Microchip Direct for all development tool orders. One HPA must be ordered for each license and each license type. MPLAB XC PRO network compilers come with 12 months of High Priority Access (HPA), and support and maintenance subscriptions. HPA access can be renewed in twelve month increments at any time. The MPLAB XC16 C Compiler is a full-featured, highly-optimized ANSI C compiler for the PIC24 and dsPIC Microcontroller families. This compiler integrates into Microchips MPLAB(R) X IDE, is compatible with all Microchip debuggers and emulators, and runs on Windows, Linux and Mac OS X.The MPLAB XC16 PRO Workstation license unlocks the full potential and performance of all possible optimizations. 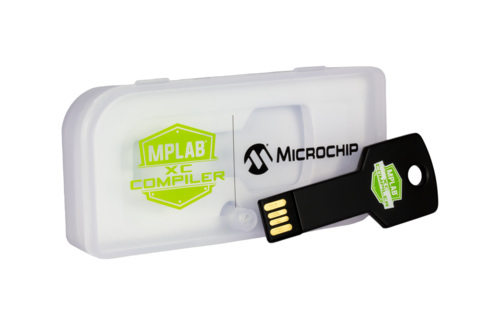 The MPLAB XC16 compiler also comes with 12 months of High Priority Access, a maintenance subscription, providing web access to new version releases, priority technical support for the compiler and free shipping for development tool orders on Microchip Direct. A network server license is a shared license. It allows one person to compile at a time. Once used, the license remains captured by that person for 60 minutes, during which no one else can use it. If that person compiles again, the 60 minutes starts over. The license is not compatible with virtual machines. To use this license with a virtual machine, see SW006021-VM. For the single-user, workstation license, see SW006023-3. The MPLAB XC32++ is a full-featured ANSI C and C++ Compiler using Dinkumware libraries for the PIC32® and SAM® microcontroller families. This compiler integrates into Microchips MPLAB(R) X IDE, is compatible with all Microchip debuggers and emulators, and runs on Windows, Linux and Mac OS X. The MPLAB XC32 C/C++ compiler license unlocks advanced optimizations to provide the very best code size and performance for your code, and also comes with 12 months of High Priority Access, a maintenance subscription providing web access to new version releases and priority technical support for the compiler. The Microchip WMA Decoder can decode audio signals sampled at up to 48 kHz with up to two discrete channels. The WMA Decoder also supports VBR and CBR encoded audio stream. In most circumstances, .wma files are contained in Advance Systems Format (ASF), which is supported by the WMA Decoder. Microchip technology provides software libraries allowing customers to build audio applications with high quality and professional results. The WMA Decoder library is optimized (C/ASM) and is available for all PIC32MX devices. The Microchip WMA Library is only available in binary format, and is only available to Windows Media Component Licensees. Click Here for Microsoft Licensing Details. PCH Command-line Compiler supports the Microchip PIC18 (8-bit Data/16-bit Instruction) family of devices. Popular PIC18 microcontrollers include PIC18F4520, PIC18F8722, PIC18F4550, and PIC18F67J20. PCM Command-line Compiler supports the Microchip Midrange (8-bit Data/14-bit Instruction) family of devices. Popular Midrange microcontrollers include PIC16F887, PIC16F877A, PIC16F88, and PIC16C66. PCD Command-line Compiler supports the Microchip PIC24/dsPIC (16-bit) family of devices. Popular PIC24 parts include the PIC24FJ128GA006 and PIC24HJ128GP306 or the dsPIC30F4012 and dsPIC33FJ128GP706 from the dsPIC family. PICBASIC Pro PBP is the industry standard BASIC programming language for Microchips PIC® microcontrollers. No other BASIC compiler for PIC MCUs boasts the 15-year success in both commercial and non-commercial environments. Version 3 is a major evolution of this popular product, making it even more capable, stable, and reliable. All the years of development culminate here, with many new capabilities and improvements. Come see why thousands of engineers, educators and hobbyists have depended on PBP for more than a decade. PICBASIC Pro PBP is the industry standard BASIC programming language for Microchips PIC® microcontrollers. No other BASIC compiler for PIC MCUs boasts the 15-year success in both commercial and non-commercial environments. Version 3 is a major evolution of this popular product, making it even more capable, stable, and reliable. All the years of development culminate here, with many new capabilities and improvements. Come see why thousands of engineers, educators and hobbyists have depended upon PBP for more than a decade. MikroElektronika`s popular C compiler features an intuitive IDE, powerful compiler with advanced optimizations, lots of hardware and software libraries, and additional tools that will help you in your work. A comprehensive Help file is included with ready-to-use examples designed to get you started in no time. Each compiler license includes free upgrades and product lifetime tech support. Object files created with mikroC PRO can be imported into MPLAB X IDE if desired. MikroElektronika`s popular Basic compiler features an intuitive IDE, powerful compiler with advanced optimizations, lots of hardware and software libraries, and additional tools that will help you in your work. A comprehensive Help file is included with ready-to-use examples designed to get you started in no time. Each compiler license includes free upgrades and product lifetime tech support, and can be used on multiple computers (USB dongle included.) Object files created with mikroBasic PRO can be imported into MPLAB IDE if desired. MikroElektronika`s popular C compiler features an intuitive IDE, powerful compiler with advanced optimizations, lots of hardware and software libraries, and additional tools that will help you in your work. A comprehensive Help file is included with ready-to-use examples designed to get you started in no time. Each compiler license includes free upgrades and product lifetime tech support, and can be used on multiple computers (USB dongle included.) Object files created with mikroC PRO can be imported into MPLAB IDE if desired.